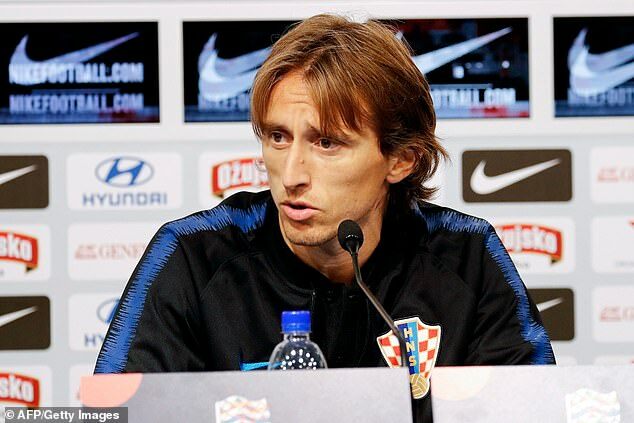 Croatia’s Luca Modric has blamed the ’emotion’ of beating England to reach the World Cup final for the team’s failure to ignite in their Nations League campaign. The side who beat England 2-1 in Moscow’s heart-breaking semi-final have been thumped 6-0 by Spain and were held to a goalless draw by Gareth Southgate’s players, who they face at Wembley on Sunday. The world player of the year said: ‘It was a historical success this summer and we didn’t have much time to recharge. We were empty, physically and emotionally. 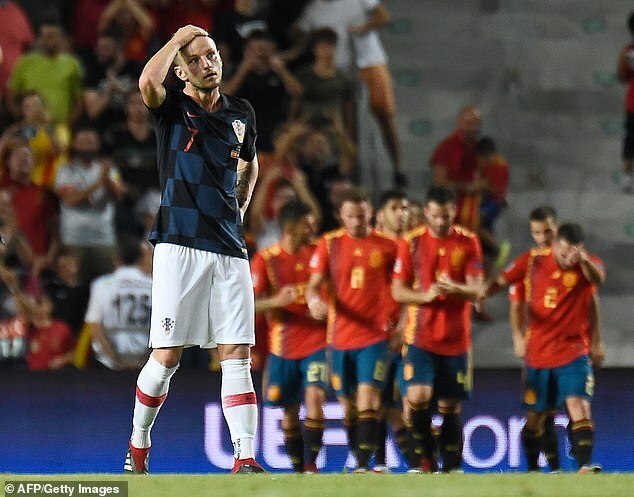 Modric and Ivan Rakitic are again at the hub of a team who could potentially relegate England to League B by beating them at Wembley on Sunday. Southgate’s side need Croatia to draw or win and then must defeat them in London to reach the last four of this competition. He is is fiercely patriotic and refused to answer any questions in Spanish at Wednesday afternoon’s press conference, despite commanding a good grasp of Spanish. He rejected his team-mate Dejan Lovren’s criticism of Real Madrid’s Sergio Ramos, for ending Mohammed Salah’s European Cup final. Modric said of Ramos: ‘He has shown now a lot of times that he is a big player. He has not paid a lot of attention to his critics. Croatia manager Zlatko Daljc is bringing some of the next generation of Croatia stars, with Wolfsburg striker Josip Brekalo due to make his debut on Thursday night.